Cars 3 is racing into theaters today and it’s back to the same feel and type of story that everyone loved about the original Cars movie. Lightning McQueen is surprised by a new type of race car and sets out to prove that he still has what it takes to win the Piston Cup. I saw this movie in 3D and while it was good, it’s definitely not a must for this film. I’d recommend saving the money you’d spend on the 3D version and just see it in 2D. The first movie came out when my oldest was young and we watched it every single day and when my son was little, the second movie came out. So I was probably more excited for this movie than the kids were, remembering all the times of watching the movies with my children over and over again. If you fell in love with the original movie with your kids, then you will love that creators went back to the original Cars roots for this story of racing, friendship, and mentorship. 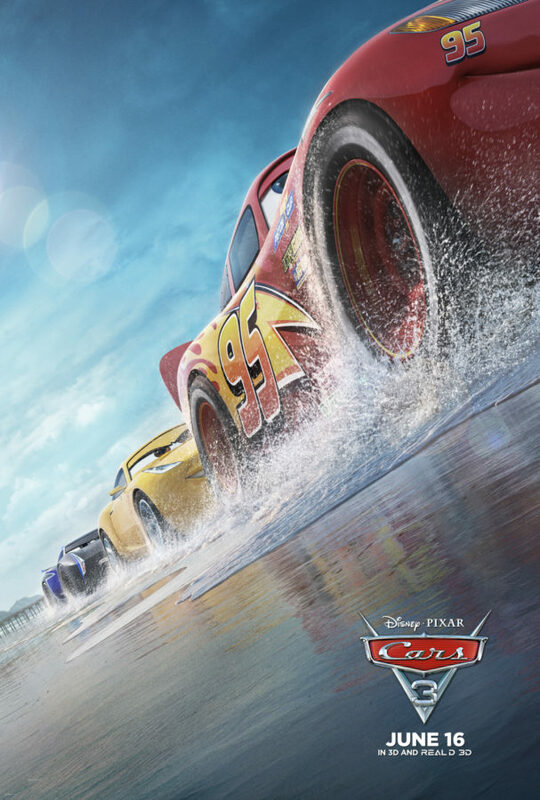 You’ll see your favorite cars from the first movie and fall in love with new cars in Cars 3. My son and I loved the new movie. It’s definitely an improvement over Cars 2, but skip the 3D version. Cars 3 opens nationwide Friday (6/16/17).